After Philips decided to discontinue its line of luxurious Pronto remotes Sony announced the HomeShare Wi-Fi Universal Remote Control. It has built-in IR transmitter and WiFi 802.11b/g adaptor. So, you can control moder AV devices via DLNA and old ones via IR. The HomeShare Wi-Fi Universal Remote Control will be vailable in March for $300. Unfortunately it isn’t universal as I understand. But Sony fans should be happy with it. I’m not a big fun of Apple’s devices. But I’d like to say a release of iPad did a small revolution in the commercial smarthome systems. For example, the touchscreen panel from AMX costs $2000-$3000. But it can be easily replaced by iPad with special application (iRidium can be a good choice) just for $800-$900 including iPad, software licence and mount kit if it’s needed. But it isn’t the only one advantage of iPad. Apple pushes other producers to release devices with similar functions and price. 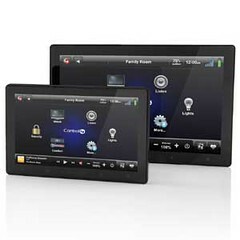 Recently Control4 announced its new touchscreen control panel InfinityEdge which looks and costs like iPad. The InfinityEdge will be equiped with a sleek capacitive, multi-touch display with 5- and 7-inch diagonals. It’ll be powered over Ethernet or AC power, and feature both wired and Wi-Fi connectivity options. The price of Control4 InfinityEdge will be $599 for the 5- and $899 for the 7-inch models. The big advantage of it over iPad is a native support of Control4 OS and Flash. So, the users of Control4 systems now have a choice between iPad and InfinityEdge and this is good for them. 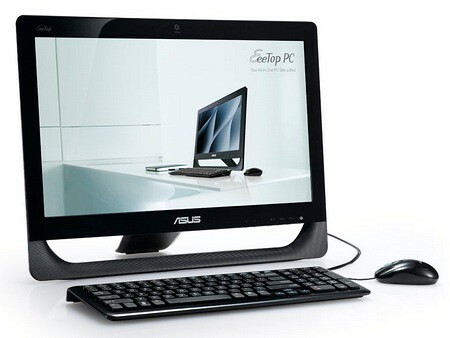 ASUS announced its all-in-one EEE desktop PC. It’s powered on AMD Athlon II X2 250u 1.6GHz Processor and includes 2GB RAM, ATI Radeon HD 5470, 500GB HDD, DVD RW. Additionally the all-in-one EEE desktop PC sports 1.3-megapixel webcam, b/g/n Wi-Fi connectivity, two USB ports, a 3-in-one card reader, and it comes with a wireless keyboard and mouse. The new ASUS is equiped with 20″ 16:9 Widescreen HD+ LCD 1600 x 900 with Multi-Touch Capable . That feature allows to use it as control panel for home automation system. Especially comparing its price ($600-$700) and the price of original AMX or Crestron control panels. The new modern solution on computer market is all-in-one form-factor. Apple started producing such devices long time ago. So, it’s time for PC to take that market niche. A few interesting all-in-one solutions, with can be used in smarthome, were demonstrated in the Taiwan exhibition Computex Taipei 2009. Let’s start from the Acer. 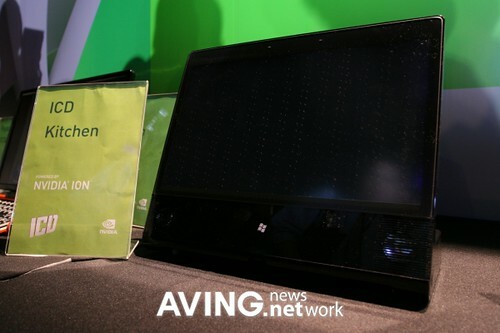 Acer decided do not limit by Aspire Z5600 only and demonstrated Gateway One ZX6800 . It’s very similar to Aspire Z5600. It uses the same Intel Core 2 Duo processor, includes hybrid TV tuner, gigabit Ethernet, a/b/g/n WiFi, HD webcam and HD speakers. Gateway One ZX6800 supports Full HD resolution and multi-touch interface on the 23-inch display. 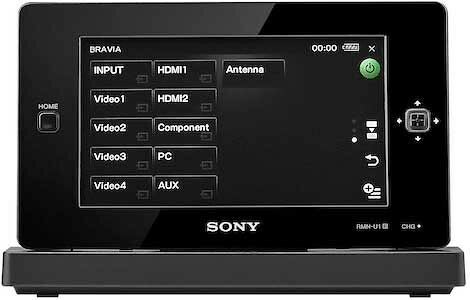 It can be used as touchscreen console for home automation system as well as hybrid TV and HTPC or media extender thanks to widescreen. Smarthome should definitely have smart kitchen. The ICD showed its nVidia Ion based nettop to make kitchen smarter. No any words about spec or price. But I suppose that the kitchen nettop should be equiped with touchscreen “designed to meet the demands of a busy kitchen”. The kitchen nettop can be used to store recipes and playback of media content from your media hub.